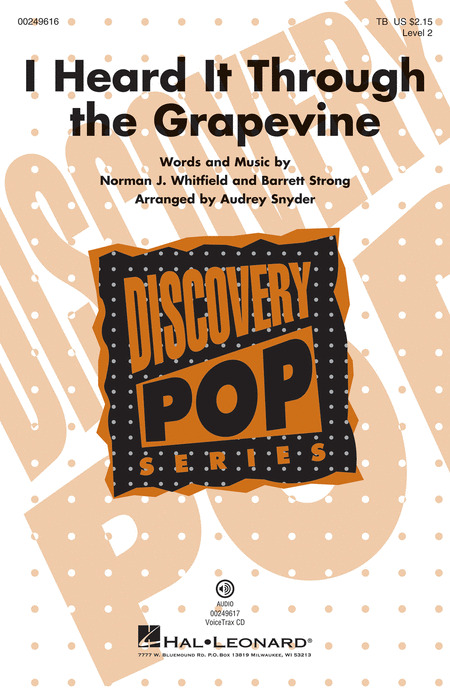 "I Heard It Through the Grapevine" is a song written by Norman Whitfield and Barrett Strong for Motown Records in 1966. The first recording of the song to be released was produced by Whitfield for Gladys Knight & the Pips and released as a single in September 1967; it went to number two in the Billboard chart. The number one Temptations R&B classic "Ain't Too Proud To Beg" makes for a great closer or encore, and will have your audience clapping along. The melody sits in a perfect range to be sung by any voice parts (bass can be sung an octave lower), and with 4 verses it's a great opportunity for a shared solo. A soulful tenor solo soaring over rhythmic four part harmonies brings the Marvin Gaye Motown classic "I Heard It Through the Grapevine" to life. A perfect mid-set song to show off your group's ability to groove. "September" - Just four parts, but sounds like a dozen! The melody skips from part to part as the other voices playfully recreate Earth Wind and Fire's horns, guitars, bass, keyboards... everything but the costumes! NBC's sensational singing competition The Sing-Off continued its popularity again in 2011 with an exuberant celebration of the Lionel Richie #1 hit from 1983. Mesmerizing vocal grooves combine with solos and duets to create a joyful showcase for all types of vocal ensembles! 14 of the best songs from this R&B superstar. Includes: Ain't Nothing Like the Real Thing - I Heard It Through the Grapevine - Let's Get It On - Mercy Mercy Me (The Ecology) - Sexual Healing - What's Going On - more. Stop your soul searching: all your favorite songs are right here! This fantastic collection features 71 soul classics. 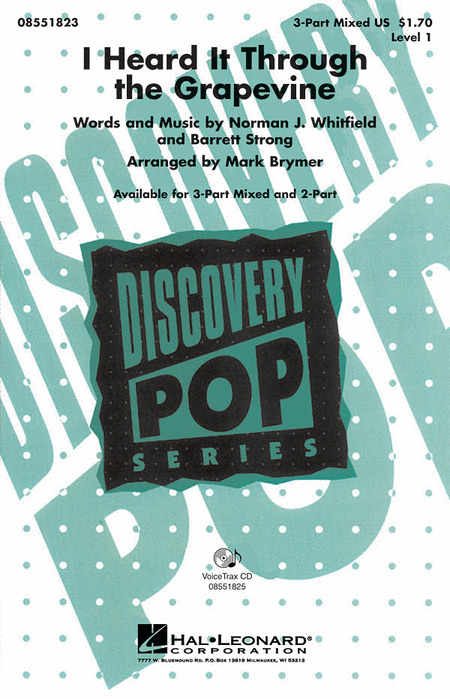 A whopping collection of 73 classic hits from the '50s and '60s for piano/vocal/guitar. Songs include: All My Loving - Barbara Ann - Be-Bop-A-Lula - Can't Take My Eyes off of You - Crimson and Clover - Crying - Donna - For Once in My Life - Get a Job - Good Vibrations - Great Balls of Fire - Green Onions - I Think We're Alone Now - Jailhouse Rock - Kansas City - La Bamba - Mellow Yellow - Mony, Mony - Rag Doll - Respect - Soldier Boy - Stagger Lee - Soul Man - Twist and Shout - Winchester Cathedral - Windy - You Keep Me Hangin' On - more! Most people think of older standards when they hear Great American Songbook, but these more recent hits are so successful that they already have earned their place in musical history. Includes piano, voice and guitar arrangements of 100 songs. This Motown classic was made popular by Marvin Gaye in 1968. It is still stylish a full of fun for any combination of voices. Young men will love the chance to bring this classic to life. From Marvin Gaye to the California Raisins, this #1 hit from 1968 is still a winner in this well-written setting. Available: SATB, SAB, TTBB, 2-Part, ShowTrax Cassette. Performance Time: Approx. 3:15. From Marvin Gaye to the California Raisins, this #1 hit from 1968 is will get your groove going! 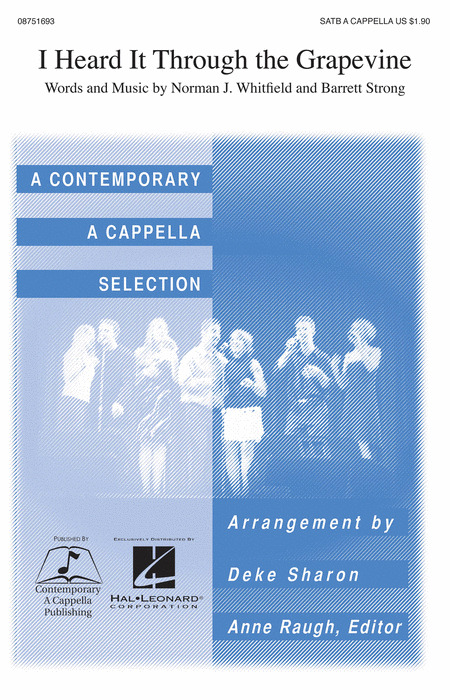 Well-crafted for younger choirs, this Discovery Series arrangement will be a definite hit from the rehearsal to the stage.Available separately: 3-Part Mixed, 2-Part and VoiceTrax CD. Performance Time: Approx. 2:10. A soulful tenor solo soaring over rhythmic four part harmonies brings this Marvin Gaye Motown classic to life. A perfect mid-set song to show off your group's ability to groove.